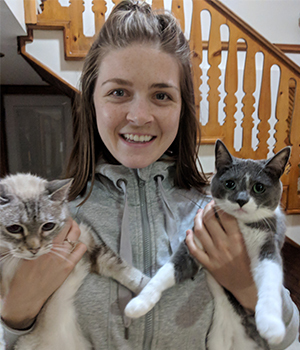 Carlie joined the team at Campus Estates Animal Hospital in 2017, after several years working in small animal practice. She enjoys the variety of critters and cases that come into the hospital, making each day unique. When she isn’t at the hospital, she can usually be found snuggling her cats, or digging in the garden.